High-class socialite on the surface, abrasive journalist underneath. ‘Ami’, an average university freshman who aspires to be something other than what her well-off father motives. As a passion or retaliation, Ami often goes out of her way, to write or capture the truth via hands-on investigation. Reporting anonymously through her blog. 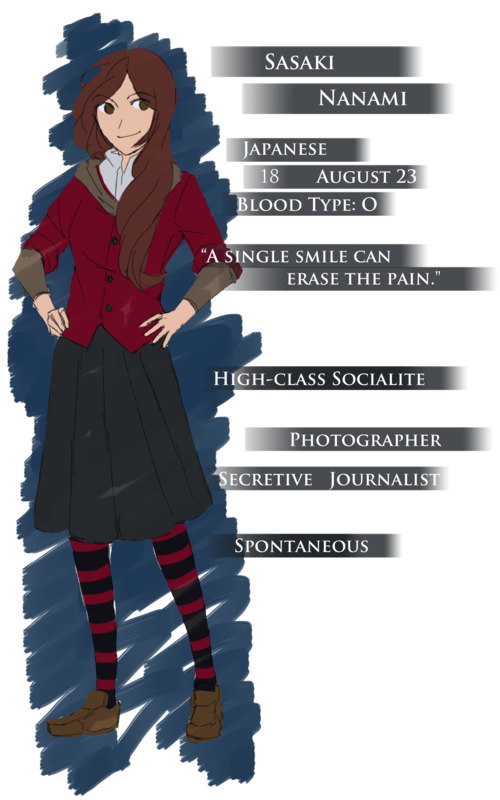 As a friend of Ryota, she is expected to have quirks and kinks of her own. The above character is concept art, and only reflects the final product to a limited extent. For the next month, volume 2 development will go into hiatus. As development schedules and goals need to be revalidated. Taking into account, that additional help may need to consider to smooth over development woes that may arise in the future. Script writing and programming-wise, development is powering along. I just need to stop rewriting the script if I want to make progress. Keep following Stained with Magic for more updates. What! More progress to report? Stained with Magic Website has been reopened!